Greg Carter and Chad Carey, Co-Founders of Chimu Adventures talk about travel with a difference, Chimu Adventures and the best destinations in South America and Antarctica. Click on the links to listen to the FREE Chimu Podcasts on Itunes. Greg Carter, Co-founder of Chimu, talks to 2UE about all things Antarctica. The next season starts in November and runs through to March. A lot of discounts are floating around these days like early-birds and The Great Sale. Some of the ships are limited to only 48 passengers. If you want to have the ideal date you have to book in advance. 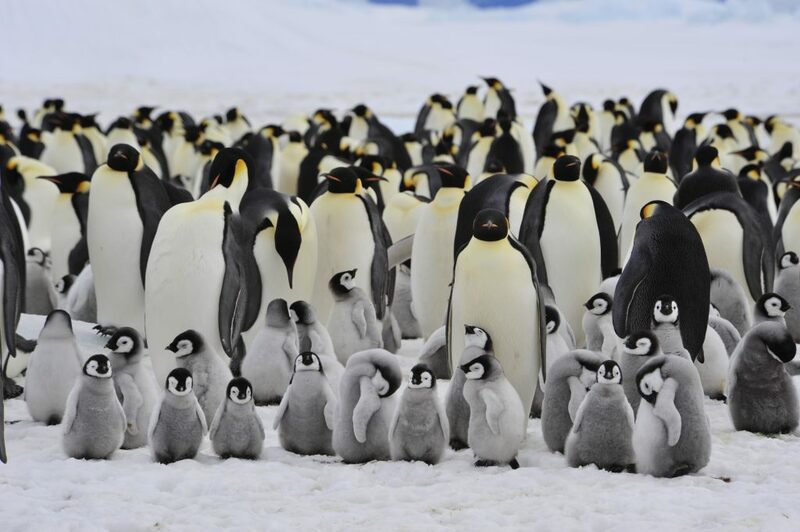 Probably the number 1 destination from Australia is the Antarctic Peninsula which is really accessible from Argentina where you can find huge concentrations of wildlife. You can also visit South Georgia and the Falkland Islands. Discover the Frozen Frontier or join the Shackleton’s Antarctica and SAVE UP TO 20%! 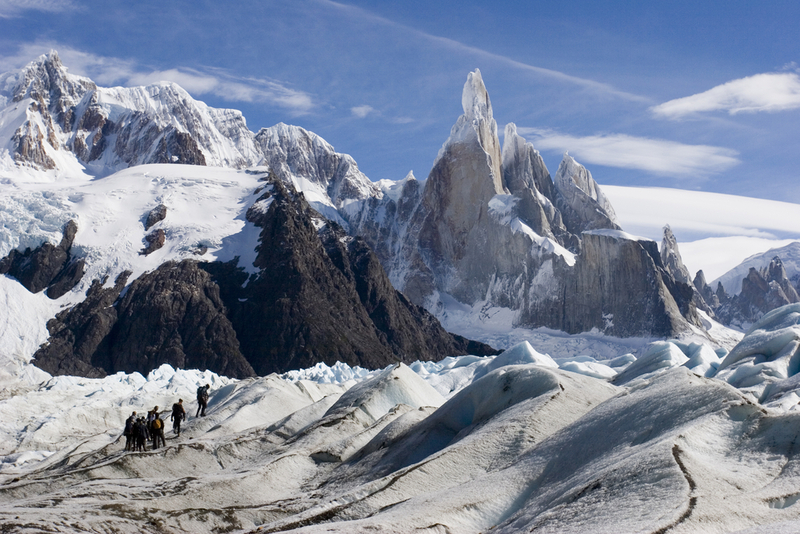 Greg Carter, Co-founder of Chimu, talks to 2UE about 10 reasons why you must see Argentina. 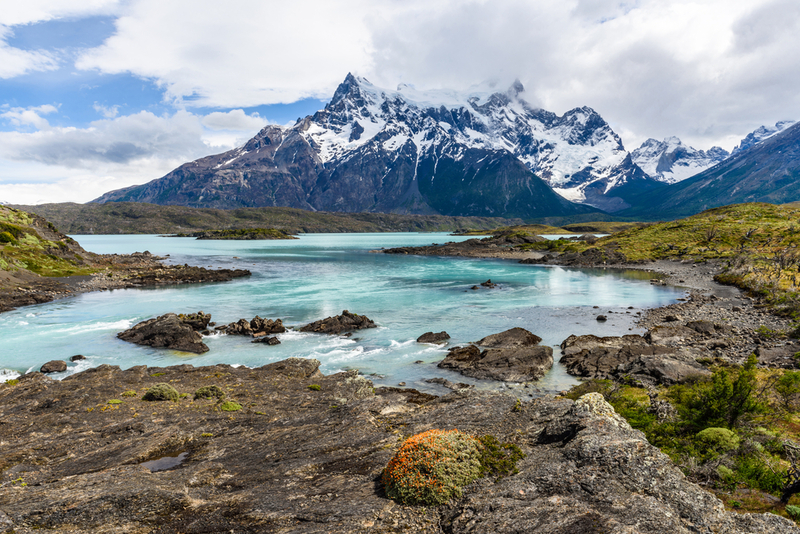 Argentina has something for everyone, from the Andes mountains to the Iguazu falls and Patagonia in the far South. Moreover, Argentina is has a rich history and gives this fascinating country so much culture to discover. Listen to 10 reasons why you must see Argentina and get inspired to visit this fascinating country! The Iguazu falls in Argentina. Photo credit: Shutterstock. Greg Carter, Co-founder of Chimu, talks to 2UE about the diversity of South America Travels. South America nowadays can be considered as a pretty well developed and safe tourism destination. Think about travelling to Patagonia and stay in fantastic lodges, or visit the Machu Picchu in Peru and enrich yourself with the ancient history of Peru. Listen to the diversity of South America travels and learn all about South American destinations. Episode 24. South America’s awe-inspiring rail journeys. Greg Carter, Co-founder of Chimu, talks to 2UE about South America’s awe-inspiring rail journeys. There are so many scenic rail journeys, for example the ‘train in the clouds’ in Argentina, which is a scenic rail journey passing through the Argentinean vineyards and Andean scenery. But there is much more. Listen to South America’s awe-inspiring rail journeys and learn all about the facinating rail journeys in the South American Continent. 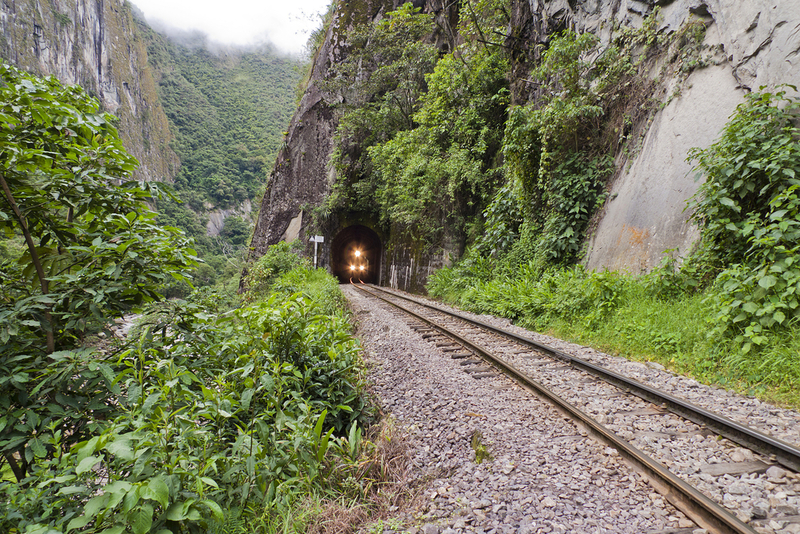 Train from Agua Calientes to Machu Picchu. Photo credit: Shutterstock. Greg Carter, Co-founder of Chimu, talks to 2UE about the magnificent birds of South America. There is such a huge variety of bird species in South America, which makes it an incredible place for bird watching. Think about places such as the Carribean Coast, the Amazon rainforest and the Galapagos. Listen to the Magnificent birds of South America and learn all about the facinating bird species in South America. Greg Carter, Co-founder of Chimu, talks to 2UE about the 5 Reasons Why Colombia Is The Perfect Holiday Getaway. When thinking of Colombia, most people tend to think of drug trade, but there is more to this beautiful country. Colombia has a facinating history and architecture and a developing infrastructure for tourism. Listen to 5 Reasons Why Colombia Is The Perfect Holiday Getaway and learn all about why you have to visit Colombia. 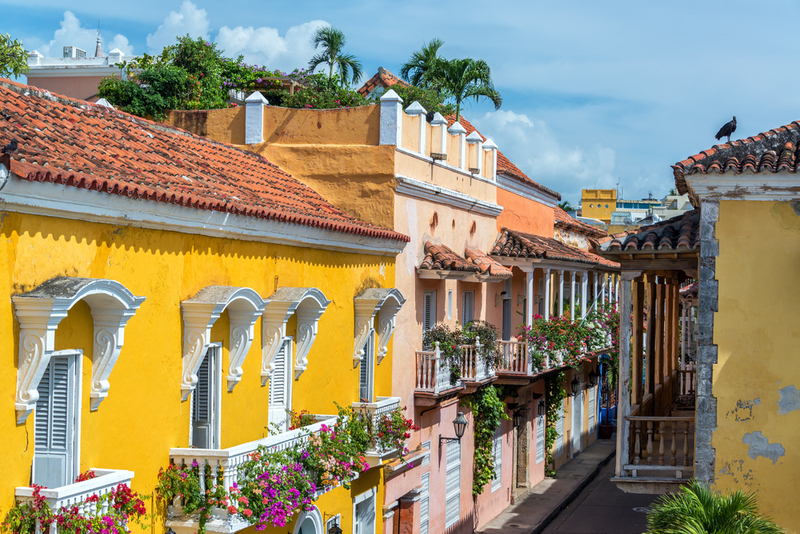 The colourful streets of Cartagena, Colombia. Photo credit: Shutterstock. The stunning scenery in Patagonia. Photo credit: Shutterstock. Greg Carter, Co-founder of Chimu, talks to 2UE about the 10 reasons why you must holiday in Chile. Chile has many amazing sites, think of Easter Island, the Atacama Desert, Vineyards and snow capped peaks in the Andes. Besides the amazing sites, there are many more reasons to visit this South American country filled with gastronomic delights, stunning landscapes and cultural villages. Listen to 10 Reasons Why You Must Holiday in Chile and get inspired! Click here to listen to 10 Reasons Why You Must Holiday in Chile. 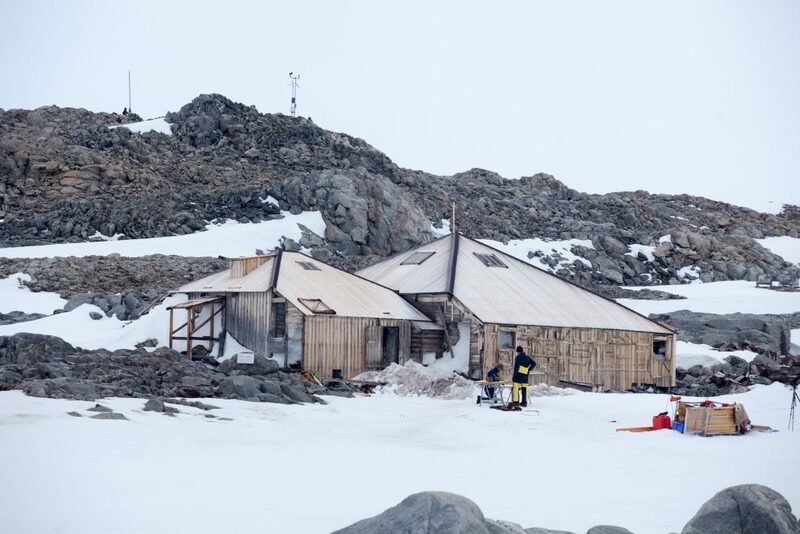 Mawson’s Hut from the north-west on December 20, 2015. 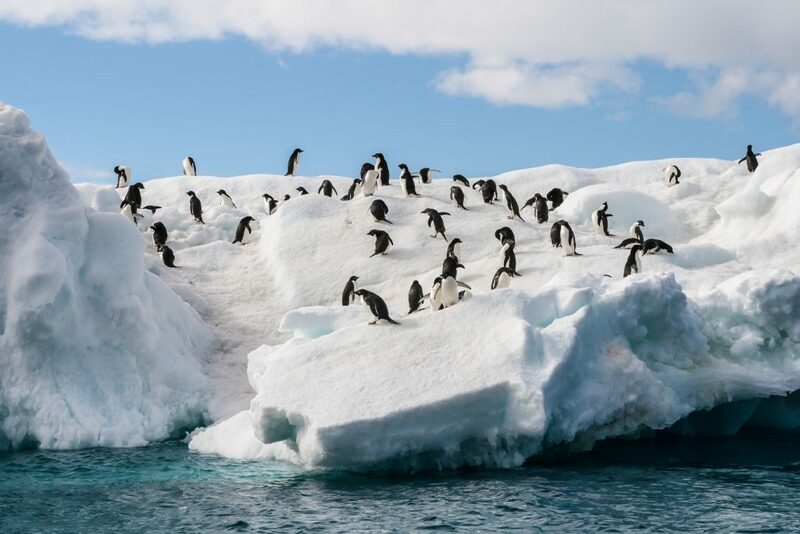 Greg Carter, Co-founder of Chimu, talks to 2UE about travelling to the bucket list destination Antarctica and Mawson’s Huts. 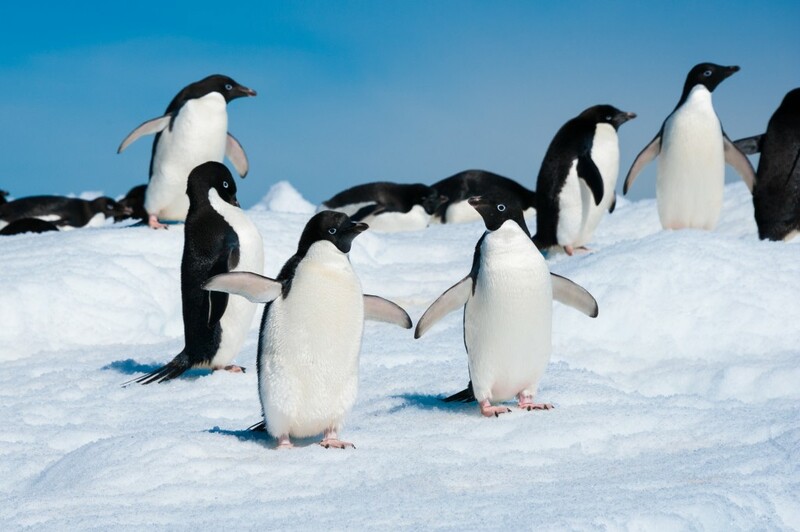 Walk with penguins, swim with seals and go skiing on this white continent. Greg Carter will tell all about what makes Antarctica such a special destination, how to get there, safety and much more. Special Guest David Jensen will tell about the Australians explorer Mawson and his voyages to Antarctica and how to save the Mawson’s Huts with the help of the Mawson’s Huts Foundation. 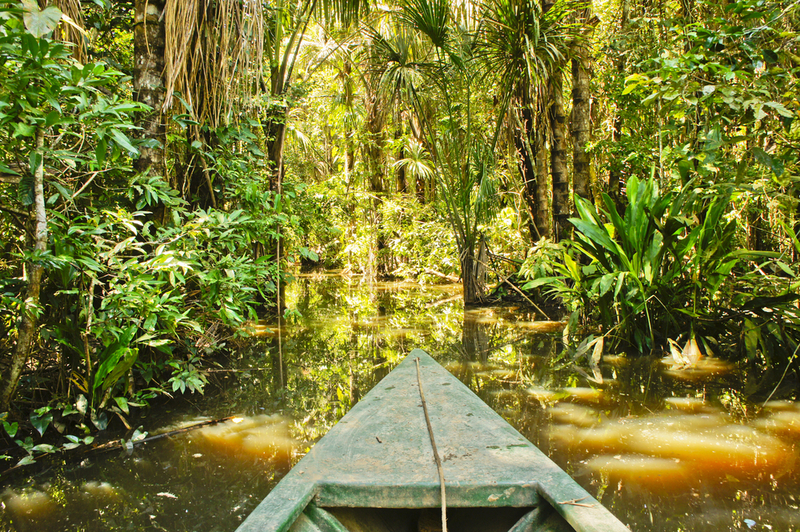 Cruising through the Amazon. Photo credit: Shutterstock. 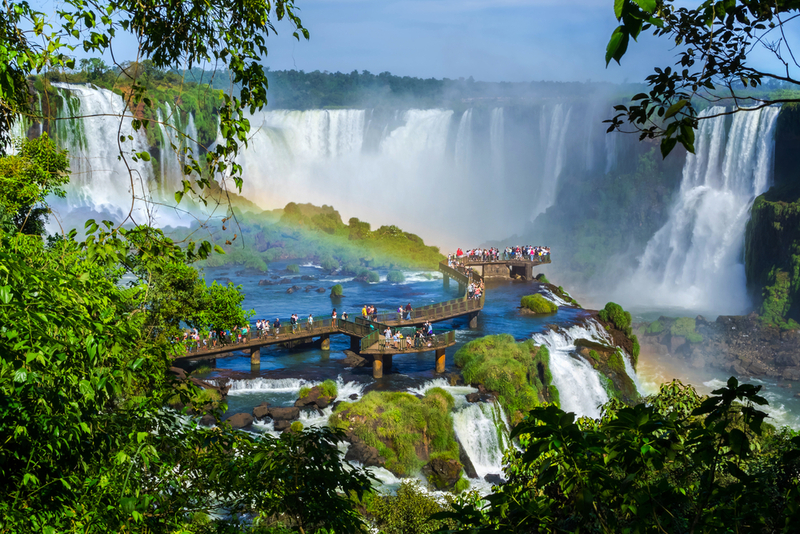 Greg Carter, Co-founder of Chimu, talks to 2UE about the big five places in South America which are the Galapagos, The Amazon, the Machu Picchu, Rio de Janeiro and the Iguazu Falls. Greg will tell you about different trips through South America visiting all the big five places and the magic of each destination. Greg Carter, Co-founder of Chimu, talks to 2UE about the magic of travelling to Mexico. Mexico is a fantastic place, with an amazing cuisine! Located between the Carribean and the Pacific it has plenty of beaches. But there is more to mexico than only beaches. 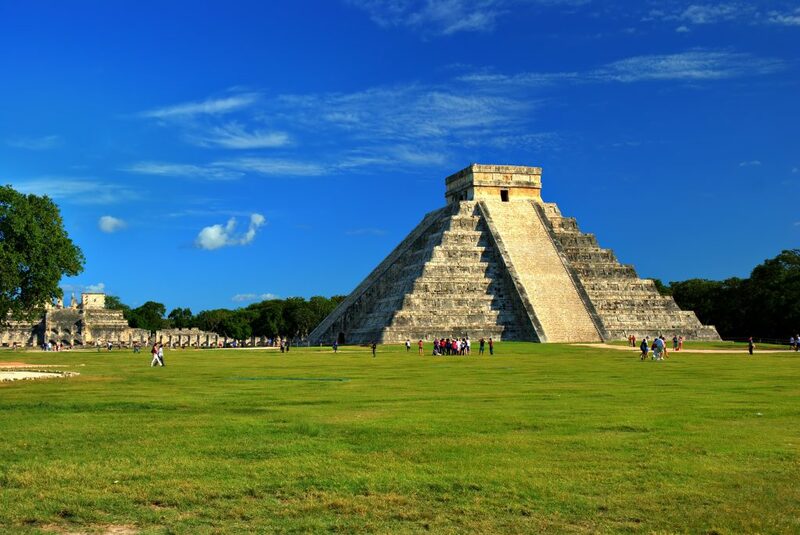 The historical inland leaves plenty of magic to discover about the Mayans and Aztecs and their rich culture. Click here to listen to Experience the Magic of Mexico. 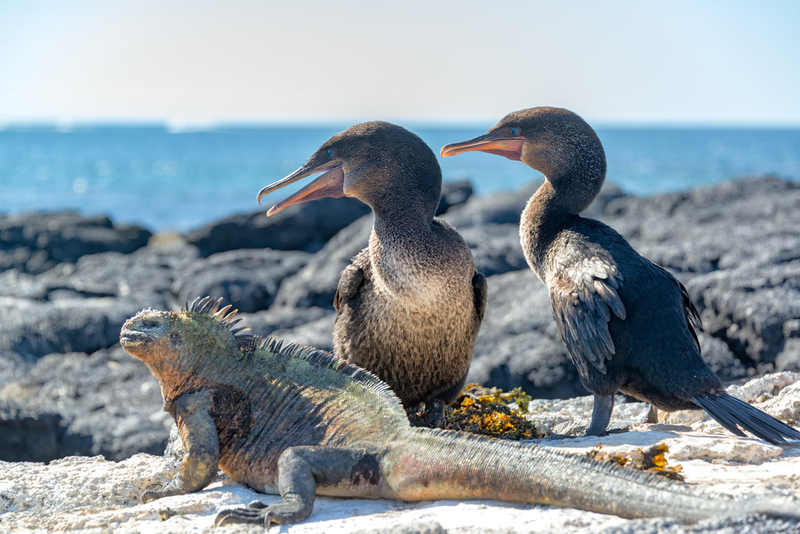 Greg Carter, Co-founder of Chimu, talks to 2UE about travelling the Galapagos. This is arguably the place with the most beautiful mix of wildlife and natural beauty in the world. Greg will tell you all about the history, the different islands in the Galapagos and the plethora of wildlife such as turtles and tortoises. Click here to listen to Go to the Galapagos. Episode 16. Exploring the undiscovered Peru. 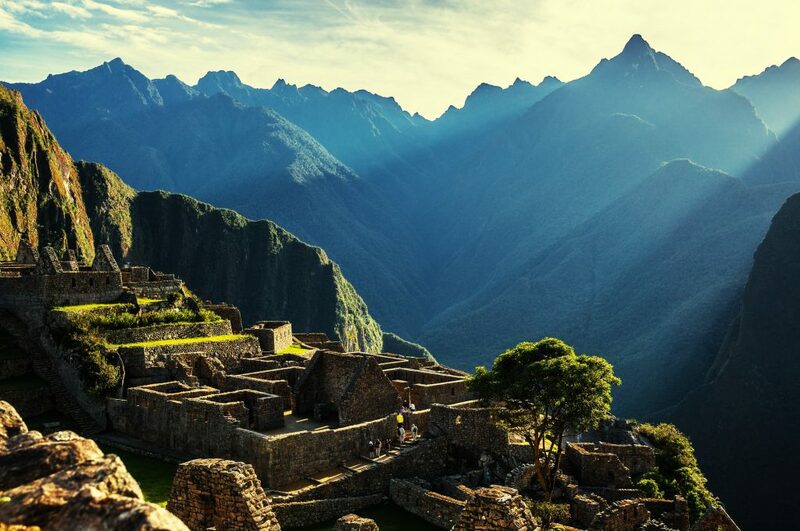 Greg Carter, Co-founder of Chimu, talks to 2UE about travelling to the undiscovered Peru. 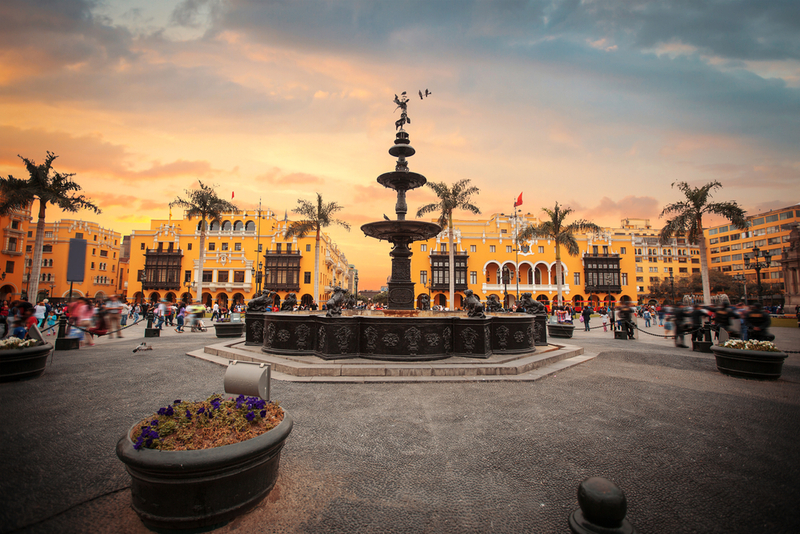 There is much more to see in Peru than only the iconic Machu Picchu. Peru is one of the most biodiverse countries of the planet, ranging from the extension of the Atacama Desert to the Amazon and from the Andes with its glaciers to the Lagoons. Greg will tell you about the hidden treasures about Peru. Click here to listen to Exploring the undiscovered Peru. 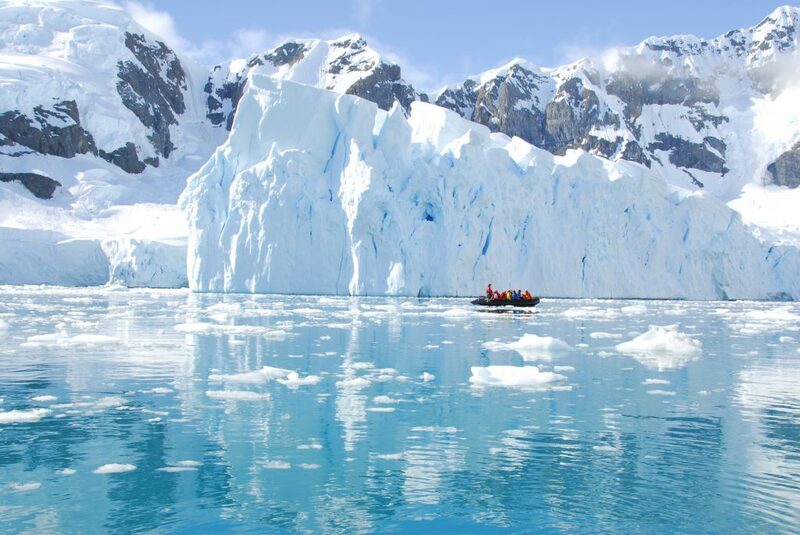 Greg Carter, Co-founder of Chimu, talks to 2UE about travelling to unspoiled Antarctica. Hear all about the reasons to travel to this fascinating continent, when to travel and what you can expect from a trip-of-a-lifetime to Antarctica. Moreover Greg will talk about the fundraising ships and the charities supported by these special cruises. Click here to listen to Explore Awe Inspiring Antarctica. Wooden boardwalk to the falls. Photo credit: Shutterstock. Greg Carter, Co-founder of Chimu, talks to 2UE about family holidays to South America from his own experiences. 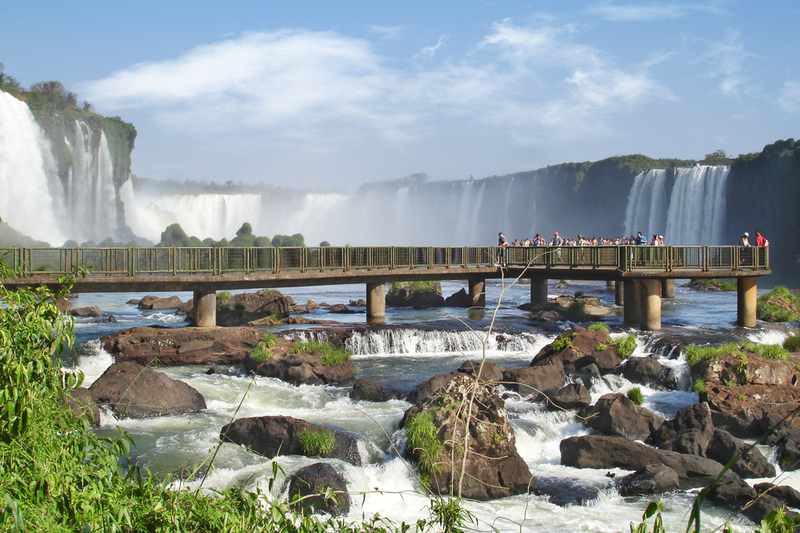 Ever thought of going to Patagonia in Chile or the Iguassu Falls on the border of Argentina and Brazil to go to with your family? Hear all about Greg Carters’ best destinations for a family holiday in South America. Click here to listen to a family in South America in South America. 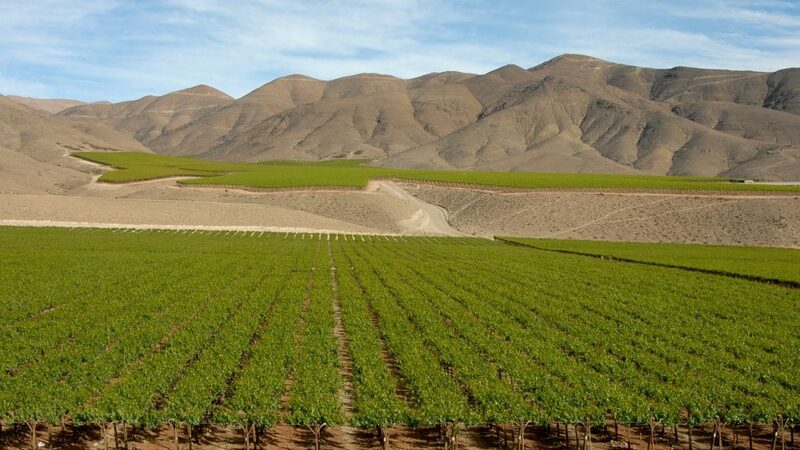 Greg Carter, Co-founder of Chimu, talks to 2UE about Food and Wine in South America. South America is still a mystery to many people, with a huge range of different food and fantastic wines. With different influences from Africa, Europe and Azia this is an amazing destination to travel for the food and wine lovers. Think of steaks in Argentina, Fresh fish and seafood in Peru and wine from Chile. Click here to listen to Food and Wine in South America. The native inhabitants of Antarctica. Photo credit: Shutterstock. 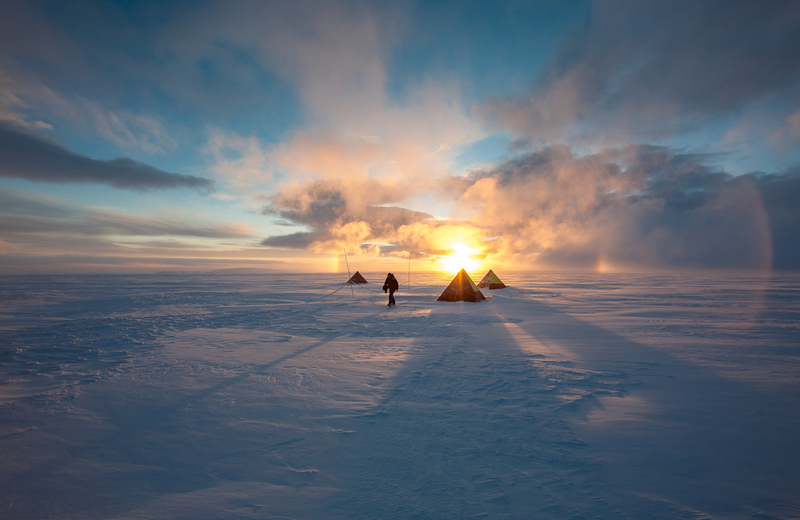 Greg Carter, Co-founder of Chimu, talks once again to 2UE about travelling to Antarctica. What ship to choose when travelling to Antarctica and how long does it take to go to the White Continent? Hear all about the ins and outs of cruising to Antarctica. Trekking in Patagonia. Photo credit: Shutterstock. 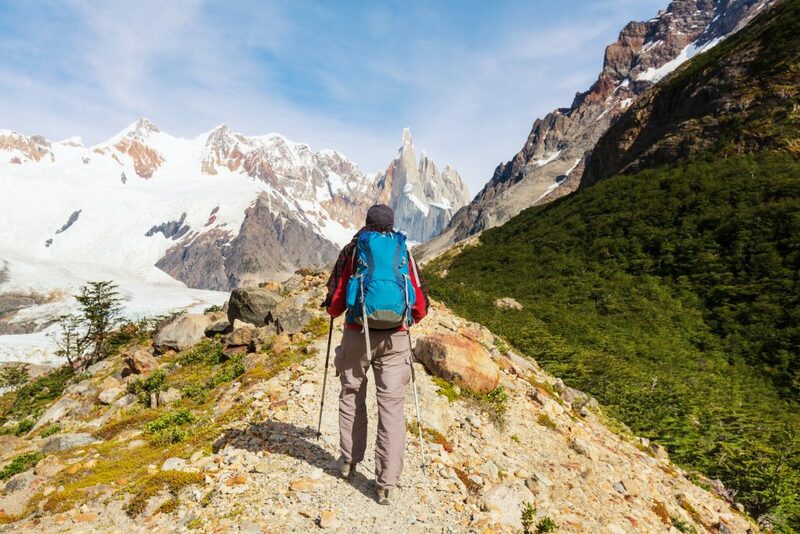 Greg Carter, Co-founder of Chimu, talks to 2UE about trekking in South America. Greg Carter talks about trekking in South America at destinations such as the well known Inca Trail or the magnificent mountains in Patagonia. Click here to listen to Trekking in South America. Snow camping on an endless icefield. Photo credit: Shutterstock. Chad Carey, Co-founder of Chimu, talks to 2UE about travelling to the History of Antarctica. Who was the first one to discover the North Pole and what who were the heroes of the heroic age of Antarctic exploration? Chad Carey will tell you all about it. Click here to listen to History of Antarctica. Chad Carey, Co-founder of Chimu, talks to 2UE about travelling to the History and Culture of South America. The colonial and indigenous history and culture of South America will be talked about, for example the Machu Picchu and other Incan sites in Peru. Moreover the History of other countries such as Chile and Argentina will be talked about. Click here to listen to History and Culture in South America Part I.
Click here to listen to History and Culture in South America Part II. The Olympics in Rio . Photo credit: Shutterstock. 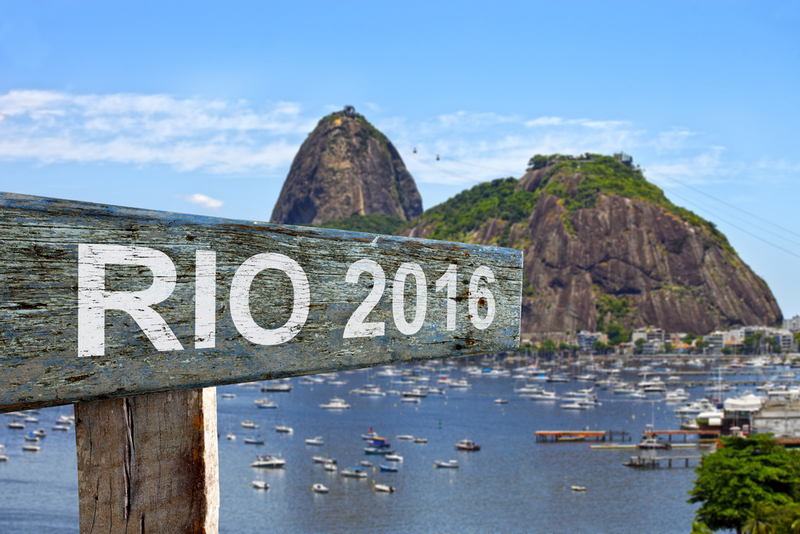 Greg Carter, Co-founder of Chimu, talks to 2UE about the opening of the Olympics and Travelling to Rio and Brazil. 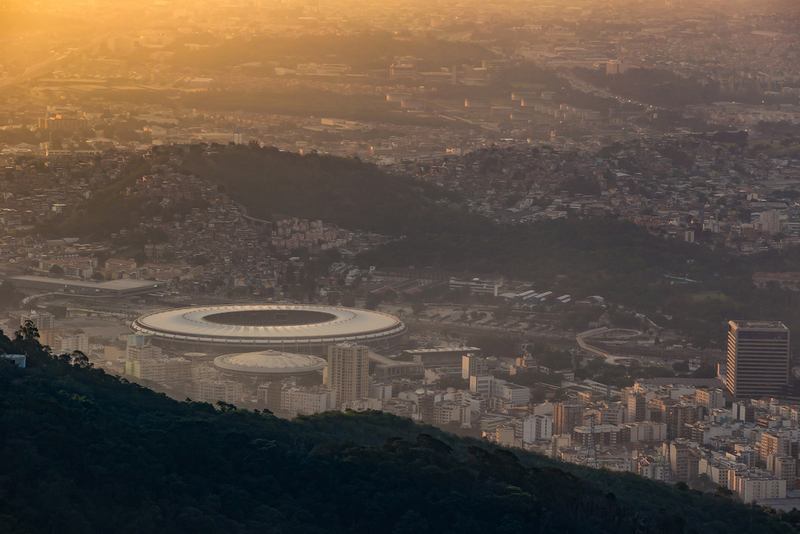 There will be talked about the improvements of infrastructure and city scape and about the possible influences the Olympics have on the tourism in Brazil and specifically Rio. 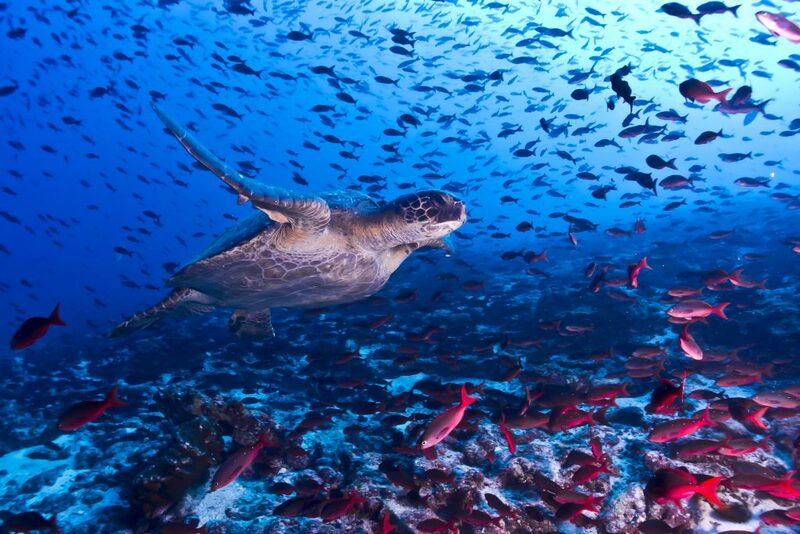 Turtles, part of the plethora of wildlife to be found in the Galapagos. Photo credit: Shutterstock. 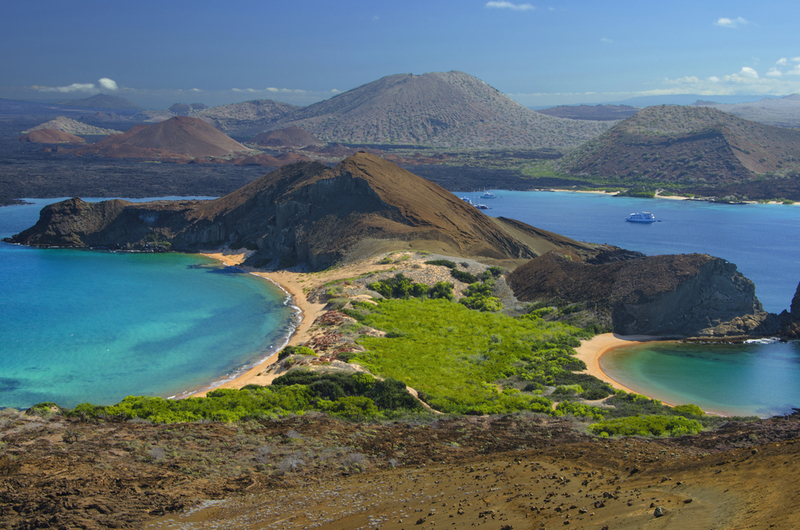 Chad Carey, Co-founder of Chimu, talks to 2UE about travelling to the Galapagos. How to get to the Galapagos, the wildlife in the Galapagos, how much time to spend in the Galapagos and cruises in the Galapagos will all be discussed. 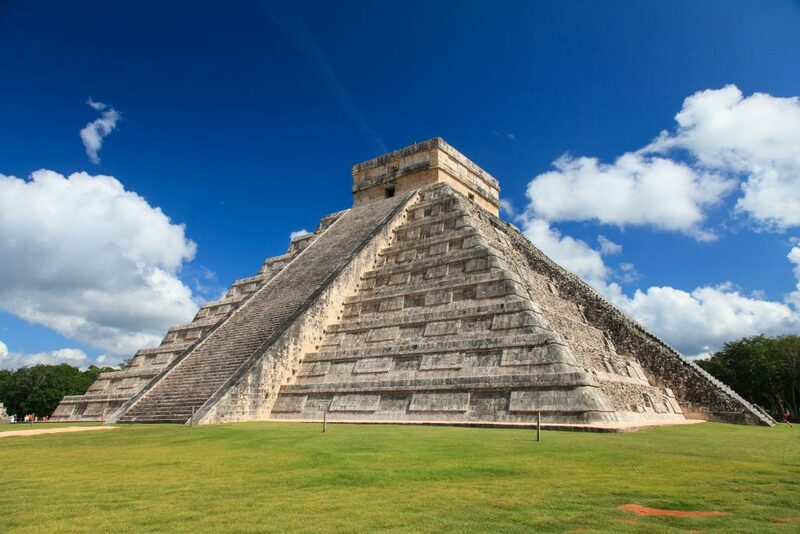 The Chichen Itza, one of the famous remains of the Mayan culture in Mexico. Photo credit: Shutterstock. Chad Carey, Co-founder of Chimu, talks to 2UE about travelling to Central America and about safety when travelling to this beautiful part of the world. Listen to the Travel to Central America and learn about travel to Peru with Greg Carter, Co-founder of Chimu Adventure and learn more about for example Mexico, a destination full of culture and ancient ruins to be visited as well as many other extraordinary destinations in Central America Chad Carey will talk about. Furthermore the Central American cuisine will be discussed as well as other highlights of this fascinating area. Macchu Pichu. Photo credit: Shutterstock. had Carey, Co-founder of Chimu, talks to 2UE about travelling to South America. The talk is about the rich history and culture of South America with examples such as the possibility to visit the remains and experience the ancient Incan Empire and Mayan Culture. Greg Carter and Chad Carey , Co-founders of Chimu, talk about all the good reasons why to travel to Brazil. 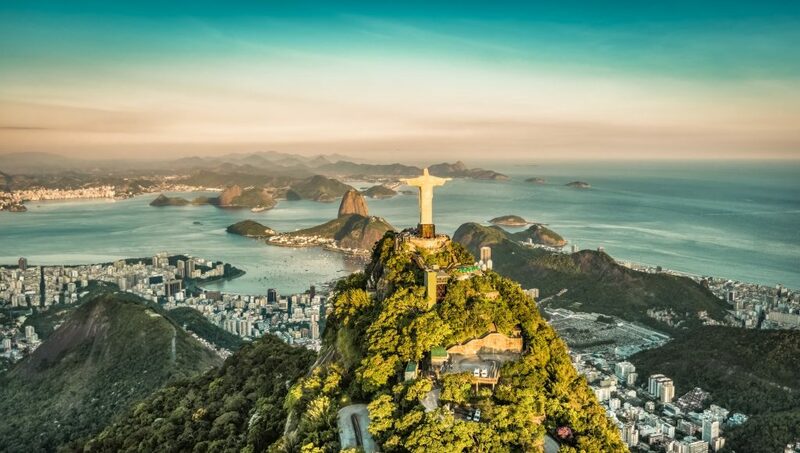 Topics covered are travelling to Brazil during the Olympics and experiencing the Carnival Festival as well as the friendly Brazilian culture and how to budget your trip to Brazil. Listen to the Chimu Podcasts about travelling to Brazil and learn all about it! Gentoo Penguins. Photo credit: Shutterstock. Greg Carter and Chad Carey, Co-founders of Chimu, talk to 2UE about travelling to Antarctica. They tell you all you need to know about a cruise to Antarctica, the plethora of wildlife to discover, the landings on shore and much more! Machu Picchu in Peru. Photo credit: Shutterstock. Peru is a land of contrasts, a country that overflows with history, culture, folklore, biodiversity and gastronomic delights. Listen to the Travel to Chimu Podcasts about travelling to Peru and learn about travel to Peru with Greg Carter, Co-founder of Chimu Adventures. Cruising with a zodiac around an iceberg in Antarctica, one of the many things Chimu Antarctica offers on its trips. Photo credit: Shutterstock. In this first episode Greg Carter, Co-founder of Chimu adventures, talks about the company, the extensive range of tours Chimu offers to South America and Antarctica and why Chimu is the Latin America and Antarctica Specialist to book with.